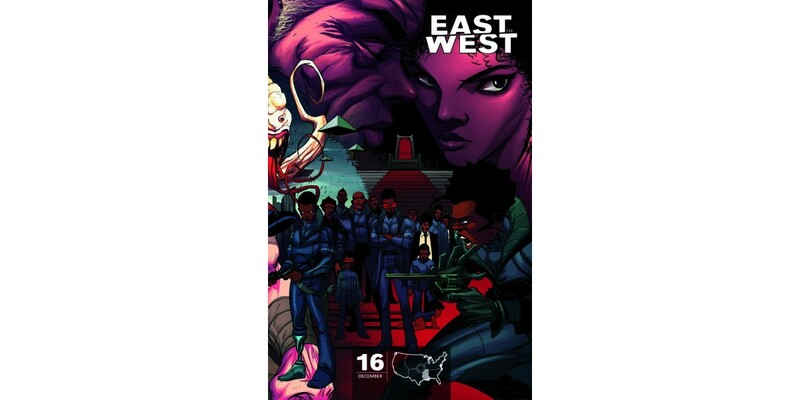 Image Comics is pleased to announce that we are offering an exclusive set of covers celebrating the return of EAST OF WEST in December. Artist and co-creator Nick Dragotta and colorist Frank Martin Jr. have created a stunning seven-cover montage featuring nearly every series character featured to date. Each cover represents one of the territories that make up the American Apocalypse and will be available on 12/31.